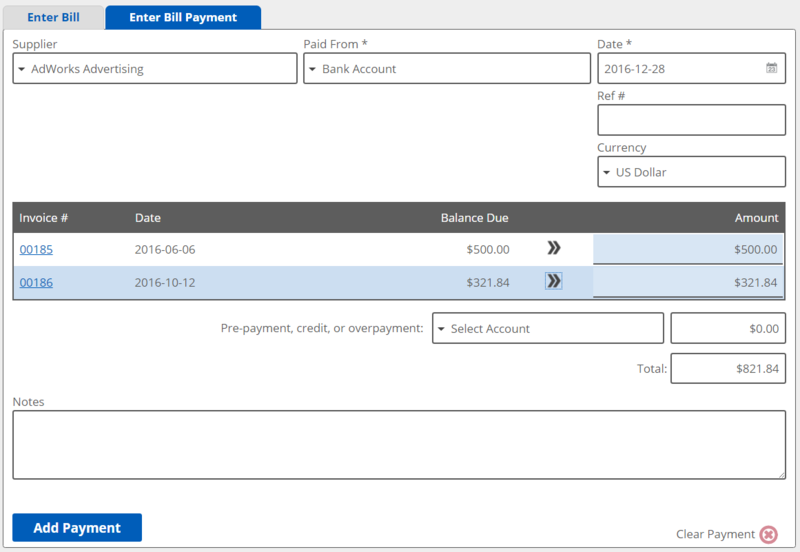 Learn how to enter bills and bill payments. Enter Bill and Enter Bill Payment tabs (on the top): This is where you would enter vendor bills, and bill payments. Expenses and Bills (on the bottom): This is a list of all your expenses and bills, showing the latest ones first. Quick Reports (on the right): This pulls together real-time data on your expenses. We are going to go through an example of entering an unpaid expense (i.e. a bill) for Adworks Advertising on June 6, 2016. Adworks Advertising has given us 30 days to pay this advertising and marketing expense. Available Options after Clicking "Add"
You can use the Duplicate link to copy the previous bill to the input area so that you can change one or two fields and add it without having to enter all the information again. 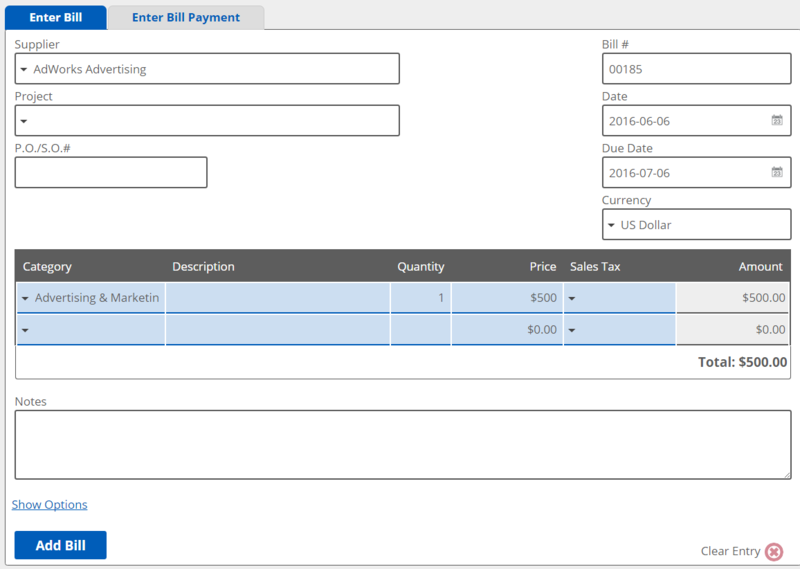 This allows users to make minor changes to the date, description, or price without re-entering all the information. 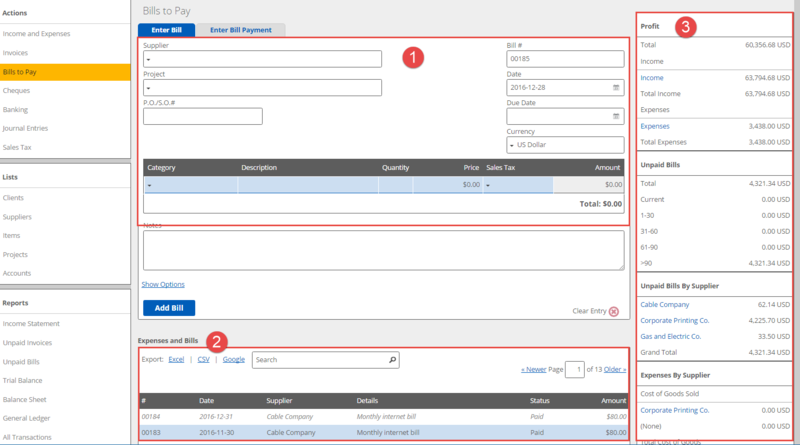 Clicking on the Edit Link will bring up the existing bill’s details, allowing you to change anything you need to change. 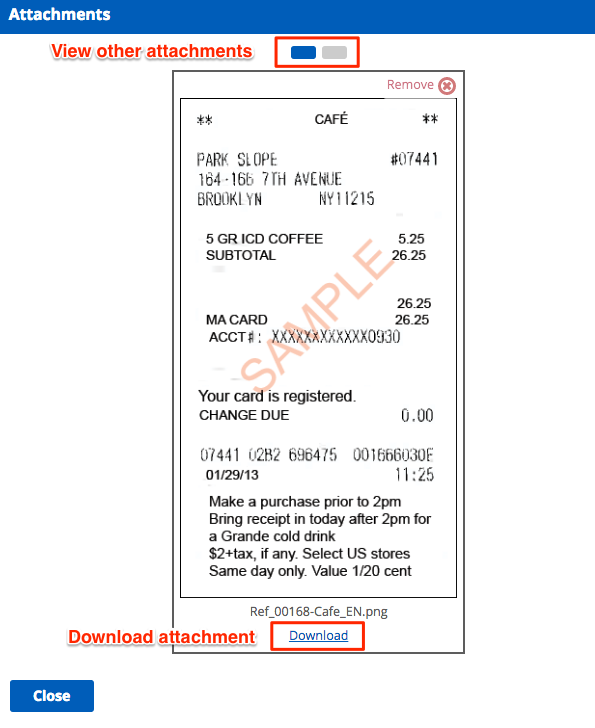 To add an attachment, just click on any existing transaction and you can use the Attachment Upload section to upload files. You can upload multiple files and all file types are supported. To view attachments click on the File icon. Click on the boxes to navigate between multiple attachments. If you would like to download the attachment, click on the Download link. If you are looking to pay a bill via a check, please see the article Using the Check Printing Page.